If you’re getting married in Philadelphia, chances are you’ve seen Philadelphia City Hall wedding pictures. I can see why so many brides and grooms want to be photographed there! The architecture of City Hall is so beautiful, and the building is so iconic. It's fascinating to see the old stately City Hall rising out of the modern architecture of its' surroundings. It's such an iconic view, and one that Philadelphia brides, grooms, bridal parties, and families really adore. For this Pen Ryn wedding, the bride and groom were married at a church in Philadelphia. After the ceremony, we took some family formals at their church, and then sent the family and guests over to Pen Ryn for the cocktail hour. The bride, groom, bridal party, and I went to several locations in Philly for portraits. We stopped by LOVE Park, spent some time with the cherry blossoms, and worked our way around City Hall. 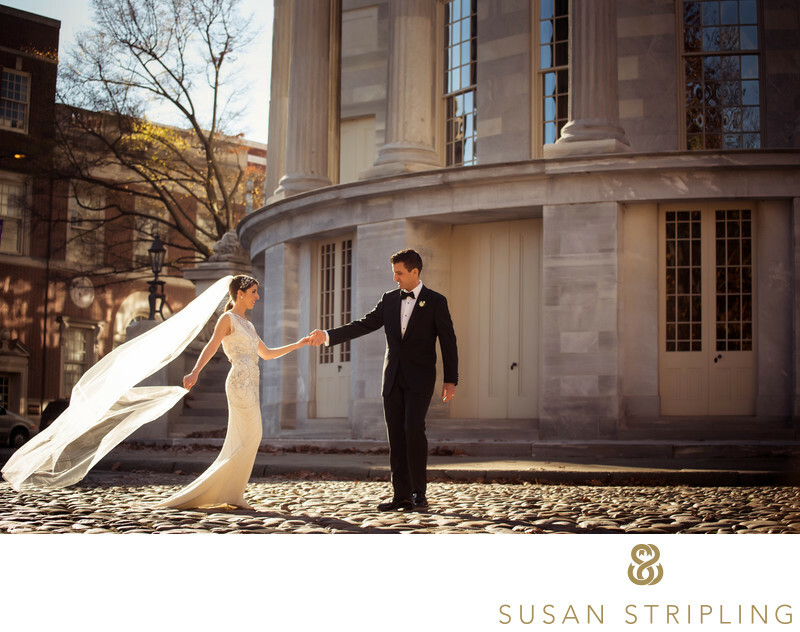 I believe so strongly in helping my wedding clients find excellent locations for their wedding portraits in Philadelphia, that I actually have an entire page on my website dedicated to Philadelphia wedding portrait location recommendations. It is imperative that you consider the location you want to take your wedding day portraits before actual wedding day occurs! Many locations in Philadelphia require that you get a permit from the city to take your wedding pictures. The permits are not hard to come by, but you do need to make sure you apply for them well in advance of your wedding day. Such locations Include Washington Square Park, and Waterworks. I been happy to help all of my wedding clients find the proper paperwork to obtain these permits. Philadelphia City Hall is always a great location for wedding portraits, as they do not require such a permit. While it might get especially crowded there on rainy days, is usually quite easy to find great private locations around City Hall to take your wedding day portraits. City Hall is also a fantastic location to photograph family formals, pictures of the bridesmaids, pictures of the groomsmen, and photographs of your entire wedding party altogether. 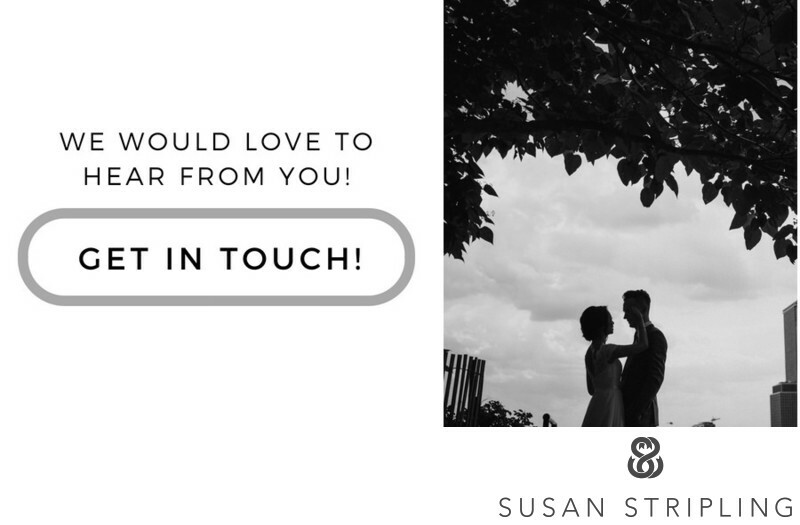 I would love to talk to you about your wedding plans, and determine if a trip to City Hall can be fit into your schedule! There are so many ways to shoot portraits around City Hall, and this is one of my favorites. I love the light on the bride and groom, and how it separates them from the shadows in the background. I love the natural pose, and the fantastic way they are interacting. I love that the moment is genuine! While I did set up the pose, I didn’t prompt the emotion at all. This is just how joyous the bride and groom are together, and it’s a real sight to see. It’s also a true treat to photograph! 1/640; f/4.0; ISO 100; 200.0 mm.